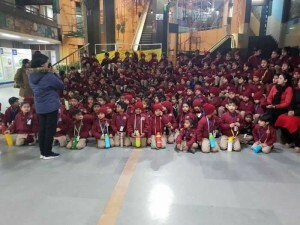 The Pre-Primary sections of The Indian School visited the National Science Centre on Tuesday, 29 January, 2019. We left School at 8:45 am and were at the Centra at 9:15 am. The children had been briefed in class about what they could expect to see at the Centre. But nothing could prepare them adequately for what awaited them! At the reception, the students were given an introduction to the world of science by the educators of the centre. The children were enthralled to see a (seemingly) magical tap from which water spilled into a bucket below. No one could spot how the water reached the tap in the first place! Several of our curious 4 years old animatedly discussed the possibilities amongst themselves! 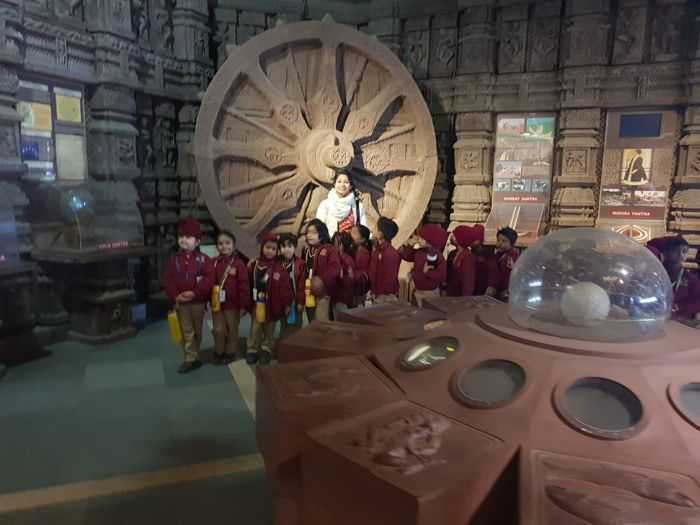 The group was walked through the various galleries of the Centre, namely, ‘Emerging Technologies’, ‘Water: The Elixir of Life’, ‘Information Revolution’, ‘Fun Science’, ‘Heritage Gallery’, ‘Prehistoric Life Gallery’, ‘Human Biology Gallery’ and the ‘Sardar Patel Gallery’. 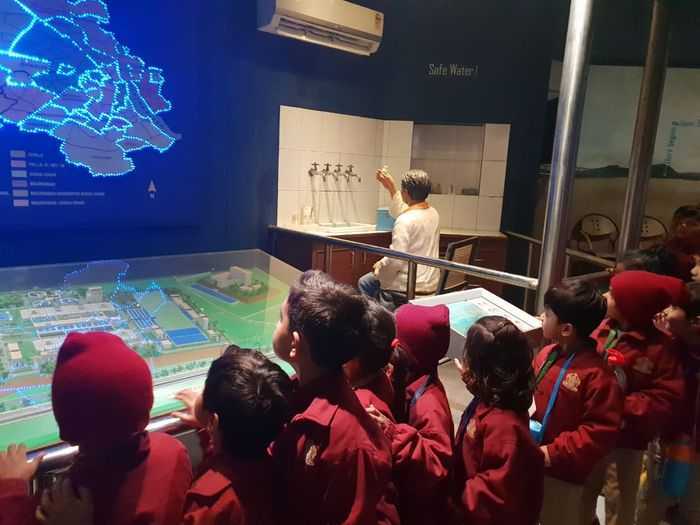 The students curiously explored the various interactive hands’-on exhibits which were not only informative but also fun- filled. The ‘Science and Technology Heritage Gallery’ was about the rich heritage of tradition, art, architecture, languages and the technology of our country; the ‘Human Biology Gallery’. included displays on the human body and its various aspects. The most exciting amongst the galleries was the ‘Dinosaur Gallery’ with its exhibits of prehistoric dinosaurs, including an animated model of a specimen. Next was the ‘Fun Science Gallery’. As the name indicates, the gallery is filled with fun ways of interacting with science. Here, the mirror maze was the most interesting of all. Last but not least was ‘The Emerging Technologies Gallery’. Here, we learned about new technologies emerging rapidly in the world around us. Soon it was time to return to School and reluctantly the children boarded the buses. 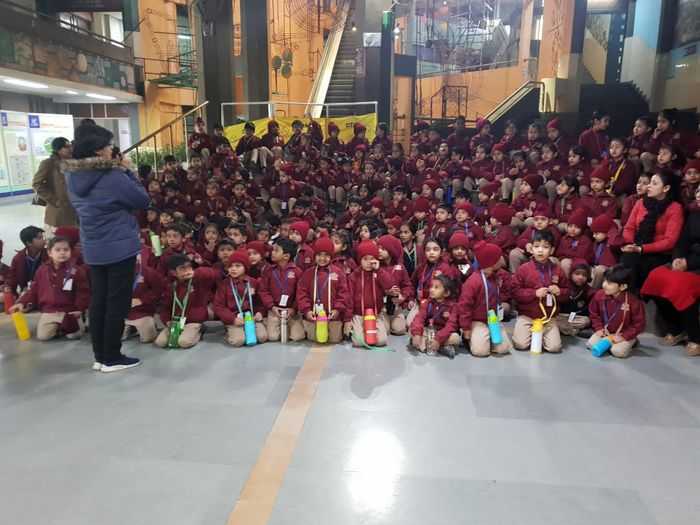 The students thoroughly enjoyed the visit and the plethora of exhibits left them spell bound. Back in the classrooms, each child recreated his/ her favourite visual of the morning to carefully preserve the exciting experience.